Have you ever had a skin rash and looked for something effective, but gentle, to treat it? We have. We usually turn to natural sources of healing for issues that arise with our body, so we love the fact that the following flowers can be used in ointments, masques, and bath soaks to relieve skin rashes. Licorice is not just a sweet treat, it’s a healing herb that’s been used medicinally for hundreds of years. Licorice contains a compound called glycyrrhizin that has shown effective in reducing inflammation. In 2003, a clinical trial showed that people with dermatitis had significantly reduced symptoms after applying a licorice gel to the skin for two weeks. Burdock is an herb that many people think is simply a weed. It’s absolutely not! It’s a beautiful plant for healing that contains a high percentage of mucilage, a substance that gels when mixed with water. Mucilage soothes the skin and helps conditions like eczema and psoriasis. 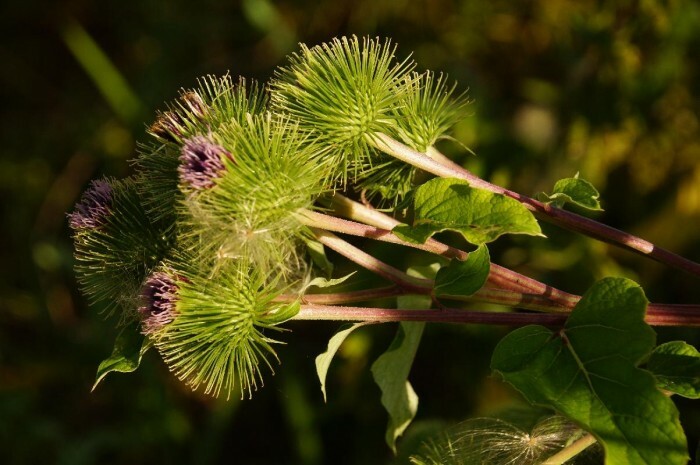 Burdock has been used for centuries by native North Americans to provide relief to dry and scaly skin. Milk thistle is named for its milky sap, which is demulcent, meaning it can create a gel-like barrier that traps moisture and soothes the skin. This flower contains a potent substance called silymarin that was the subject of a 2008 research study in Italy. When silymarin-containing milk thistle was applied to a group of rosacea patients over the course of a month, redness and itching improved. If you have experience using flowers to treat skin rashes, feel free to leave us a note below. We’d love to hear how your skin condition was cured with flowers.